The Houston area is well known for its severe weather throughout the year. Proper preparation is essential. That not only means stocking in emergency supplies but also taking steps to safeguard your home’s HVAC system. Make sure loose items are put away or tied down. Severe weather often brings gusty winds along with it. If the wind is strong enough, it can wind up blowing objects into your outside condenser unit, causing damage as a result. In severe cases, it can even blow your entire condenser unit over. By securing any loose objects before bad weather hits, you can reduce the risk of damage. Protect the condenser unit with a cover. The simple act of covering the outside portion of your air conditioning system with an approved cover can go a long way toward protecting it from the weather. This is especially important during periods of heavy rain or flooding. Protect your unit from hail. Hailstones can cause significant damage once they get over a certain size. A hail guard can go a long way toward protecting your condenser unit from being damaged by these stones. After a severe weather event, you should thoroughly inspect your HVAC system to check for any signs of problems. Begin by double checking that all of the wires are still properly connected. 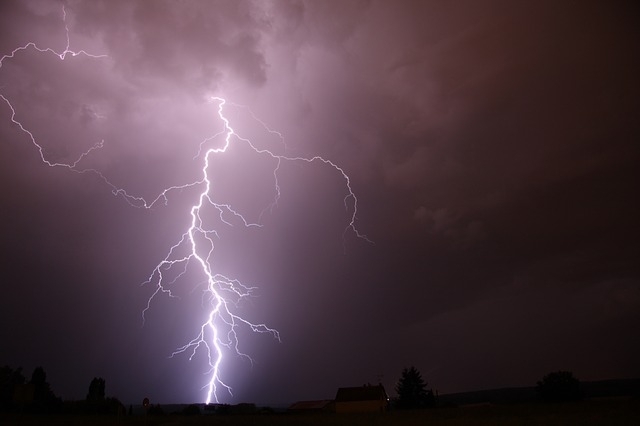 Loose wiring or other electrical problems can be extremely dangerous after a storm. If you notice any problems, contact a Houston AC repairman right away. They can come to your home and inspect your unit, looking for any problems that need to be corrected. By working with a skilled HVAC specialist, you can make sure that your system is in great shape and that there are no problems that need to be corrected after an extreme weather event.